In the eternal state of Us human-God-Selves there is only One feeling and that is love. We have so much love that it shine in - and from - and around Us. We communicate from/with this love-feeling that shines so bright in and out of Us. We shape and connect så One big light-energy-consciousness. The many as/like One, but there is i ONEness without WEness. - Shine with 100 % love and light. - Create universes (universe rooms) to show love in a lower dimension/heavy frequency. - Create via/with thoughts, everything through thought-consciousness. - The body = consciousness and consciousness = body. We shall not call Authentic Selves “they”/“them” but “Us”/“We”, since it is our real Selves who are outside the universes. Humans are not animals, but we have created a body in flesh to try to live in a cellular body. We are created in our own human picture, so we look as ourselves as much as possible. "A pure heart open to the light, will be filled with the very essence of Truth"
"The reason people awaken, is because they have finally stopped agreeing to things that insult their soul"
"Guddommelig kærlighed er vores sande natur. Kærligheden stråler i hver og en af os. 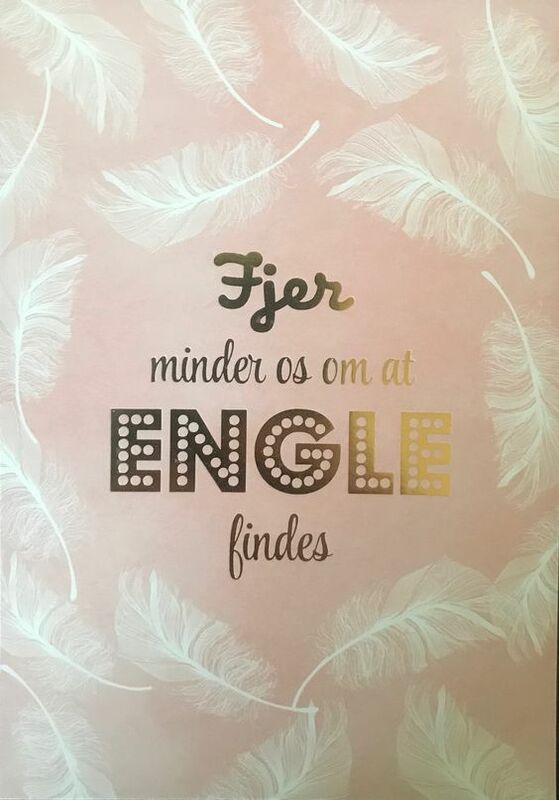 Der kan ikke blive nogen tilblivelse af nogen art, uden at kærlighedens kraft står bag"
"Hvis vi dykker dybt nok ind i os selv, så finder vi, at den samme tråd af universel kærlighed binder alle skabninger sammen. Det er kærligheden, som forener alt"
"Vær som honningbien, der kun samler nektar, hvor end den kommer. Søg den godhed, der findes i alle"
"The desire to know your own soul will end all other desires"
"Hvis du lære din sjæl at kende, så lære du dit eget Gudselv at kende"
"When you know the knower within, you don`t need to know further. When you know the meditator within, you don`t need to meditate further. When you truly know the worshiper in you, you are to be worshiped"
Note: Kortet er købt i butikken `Bog&Ide` i Kolding Storcenter. "When you contact the Higher Self, the source of power within, you tap into a reservoir of infinite power"
"Take a moment today and purposefully connect with your Higher Self. It is the part of you that is always connected with the Source. It is filled with love, compassion and wisdom. It holds no judgement or fear. It is you in your purest form of light"
"The Higher Self is whispering to you softly in the silence between your thoughts"
"Trees are sanctuaries. Whoever knows how to listen to them, can learn the truth"
"The soul which cannot endure fire and smoke won`t find the secret"
"Water your roots, so your Soul can blossom"
"I am not this hair. I am the soul that lives within"
"Maybe you are searching among the branches, for what only appears in the roots"
"You don`t have a soul. "If the soul`s light had to stay inside its house I`d open every door and window"
"When your soul is looking for you, light a candle on its path"
"Soul, if you want to learn secrets, your heart must forget about shame and dignity"
"Lyt til din sjæl for det er dig, som taler til dig selv"
"Death is a cosmic joke. If you get the joke, falling on the other side will be wonderful"
"You cannot fight darkness. You have to light up, and the darkness will disappear"
"Vi skal ikke kunne se mørket for bare lys"
"Du er et spejlbillede/en refleksion af dit Gudselv. Virkeliggør det. Udtryk det. Realiser det"
"To exist is to feel every atom of your body vibrating"
"We are all Existences experiencing ourselves within the cosmic realm"
"So I`m telling you, Existence does not fit into your logic. It`s not logically correct. It`s not logically correct, but it`s fantastic. That means what`s wrong? That means what`s wrong? That means your logic is too limited, isn`t it? `No, Existence is not correct, why is it not fitting into my logic?`. This is the argument of a madman, isn`t it? This is the way it is. If your logic doesn`t fit into it there`s a problem with your head, not with the Existence"
"If you bring your own silly sense of order to life, you will completely miss the magnificent order of the existence"
"Are you creating poison within you or the fragrance of the Divine? This is a choice." "Optimism and pessimism are nothing but attitudes. Either way, you are trying to deny reality"
"Vi er Skabelseslyskilderne, som lyser igennem dimensionerne med evig og højintensiveret kærlighed"
"Be a light candle in the darkness". - Simon Lund Sig Bentzen.
" Be the light at the end of the tunnel". "As a dragon lies and protects his treasures , so must you protect your inner treasures and values".